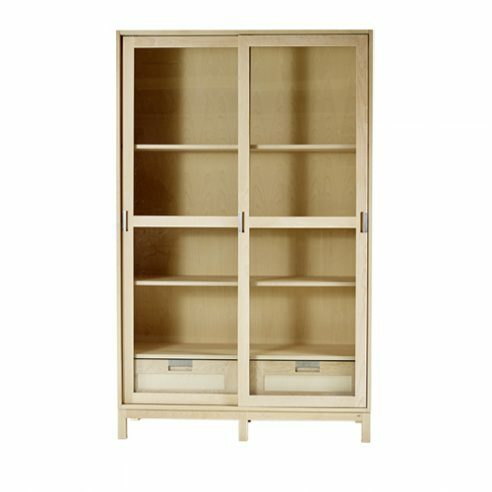 The Sundre High Cabinet is fitted with sliding glass doors the timber frames of which can be painted in a range of Farrow & Ball paint finishes to fit in with the interior decoration of your room. The doors and drawer fronts have brushed stainless steel mountings. Sundae is produced in birch or oak and each cabinet comes complete with four shelves. The two drawers are constructed using half blind dovetail joints the front panels of which are finished to match that of the sliding door frames.